Activities in Red Dead Redemption 2 (RDR2) are a combinations of mini-games and past times to be had, away from being an outlaw. Red Dead Redemption 2 isn't all about playing Daniel Boone or Clint Eastwood. Sometimes players find breaks in between, where they may want to kick their feet up and enjoy the finer things in life. These Activities are a list of things (confirmed) that Arthur Morgan can partake in during his downtime, most of which are purely for enjoyment purposes, however a few can be mastered and turned into profit. Blackjack makes a return in RDR2. 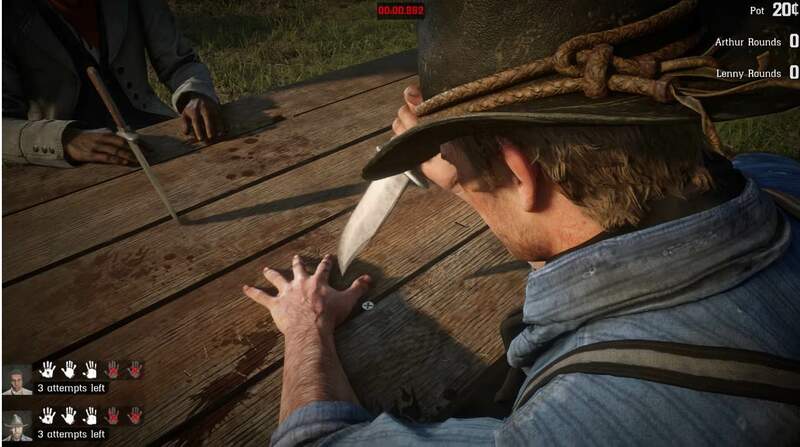 The popular mini-game from the original Red Dead Redemption functions the same as it did back then, only receiving an update HUD and possibly some controls as well. 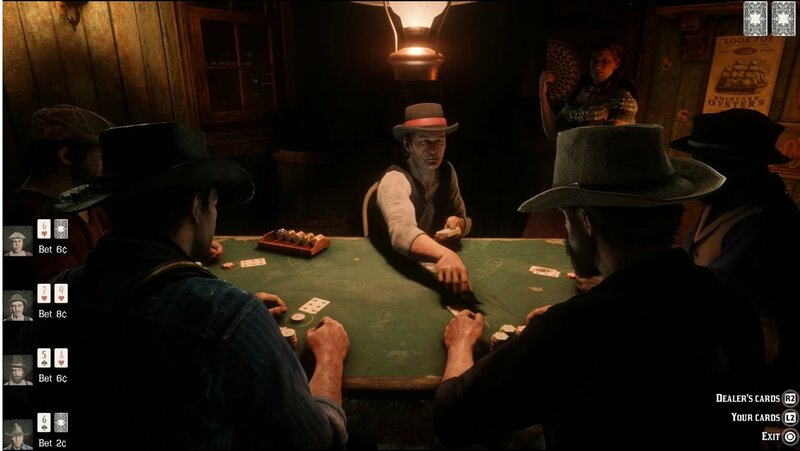 As previously, the player will have to buy in to games to sit at the table and may continue to play until they've run out of chips or outlast everybody else. HOW TO PLAY: Try to equate the cards in your hand to 21, or the closest you can. Players will be able to receive more cards on demand and can choose when to stop. The closest person to the number wins the round, and it restarts afterwards. This classic -and unnecessarily dangerous- game is another returning from the original. Why waste time partaking in harmless and equally enjoyable activities like Horseshoes, or Dominoes, when you can cause bodily harm for a couple cents? HOW TO PLAY: Stab in between your fingers with a knife, making sure to not accidentally stab yourself, speeding up the longer you go. Each time you accidentally hit yourself, you lose a life out of a maximum of five. To start a game, like most others, players have to buy in, and the winner takes the whole lot. While some may consider this more of a poor lifestyle choice or a problem, drinking is a leisurely activity for our protagonist. 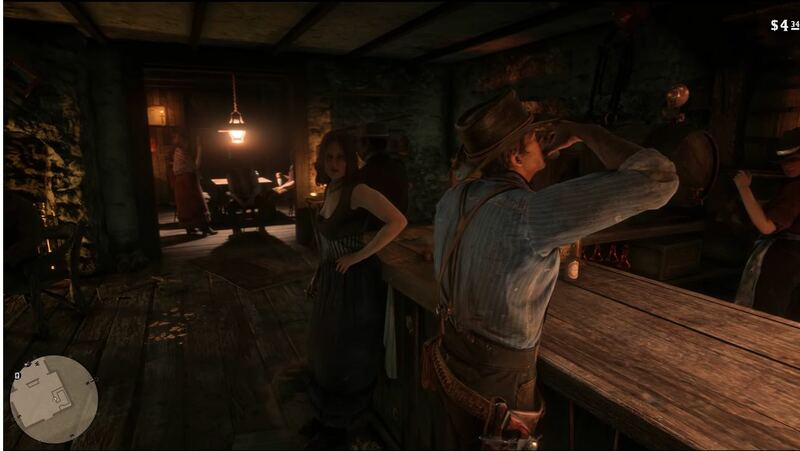 Locate the nearest Saloon, and for an affordable price, drink your day away but expect the full consequences of those actions, as it's well documented that Red Dead Redemption 2 is going for a hyper realistic game so getting drunk may be the least of your worries. 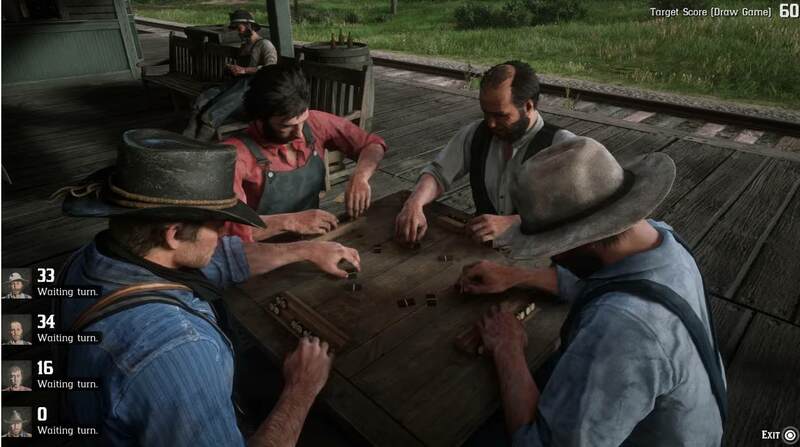 This is one of the new activities in Red Dead Redemption 2; a classic game of Dominoes! HOW TO PLAY: Players are given 7 pieces to start, and have to get rid of all their pieces by appropriately putting them down in the sequence in front of them. The same rules apply as players must buy in to play the game, and the eventual winner takes the whole lot.